D-Link made lots of geeks and early adopters happy today by introducing the revolutionary Boxee Box by D-Link, winner of the CES Best of Innovations award in the Home Entertainment category. The Boxee Box by D-Link reinterprets what TV should be. 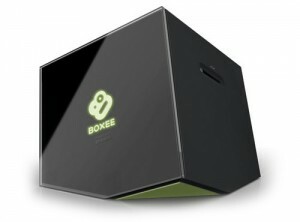 The Boxee Box delivers movies, TV shows, music, and photos from a user’s computer, home network, and the Internet to their HDTV with no PC needed. Additionally, Boxee’s core social features make it easy for friends to discover new content from each other through social networks like Facebook, Twitter, and more. Roku’s $100 set-top box (U.S.-only) just got even more compelling. The company has launched its own app store of sorts – called the ‘Channel Store’ – that brings a growing number of third-party content sources to the device including Pandora (music streaming) Facebook photos, Flickr (photo sharing), along with FrameChannel, Mediafly’s podcast directory, Revision3 and more. Dave Zatz over at Zatz Not Funny has a few screen grabs and a nifty walk-through video (embedded above). 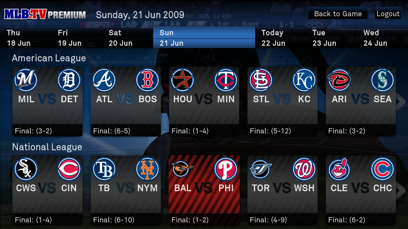 The new content ‘widgets’ join existing partnerships with Netflix, Amazon VOD, and MLB.TV. Boxee, the socially driven and feisty Internet TV browser, will soon land on a set-top box of its own. Currently the media center software is only available on Mac, Windows, Linux, along with a hacked together version for the AppleTV (the closest that Boxee has come so far to appearing on a set-top box). That’s about to change, says the company. It seems like everybody and their dog wants to be a platform these days, and media center software Boxee is no exception. (That’s a good thing by the way.) However, providing the hooks needed to write third-party applications is probably the easy part (relatively speaking), while attracting developers to the platform can be a little harder. Build it and they will come hardly ever applies. 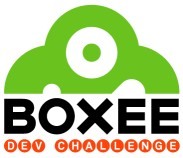 On that note, Boxee have announced the ‘Boxee app challenge‘ in an attempt to provide a little extra incentive for developers. Not only are a bunch of prizes up for grabs for the best apps created up, but the Internet TV startup also promises to shine a little light on entrants along the way. Another ‘remote control’ app has landed on iPhone, this time for media center software Boxee. The Boxee Remote app works over WiFi and operates in two modes: ‘Gesture’ and ‘Buttons’. In Gesture mode users drag the Boxee logo around the screen to trigger up, down, left and right and clicking on the logo activates play/pause. Alternatively, Button mode offers up a virtual version of Apple’s own hardware-based remote control, which although less imaginative is probably more practical. Either way, the free app is very bare bones, making it all the more baffling that, according to Boxee, Apple took such a long time to approve it. The news that Hulu has asked Boxee to remove access to its content is ridiculous on many levels. Not least is the fact that, in relation to Hulu, technically speaking Boxee is just a web browser that happens to be optimized for a ‘ten foot’ or TV-like viewing experience rather than for when you’re sat directly in front of the PC. And crucially, since Boxee has yet to license its software to set-top box makers or build a box of its own, the only way to get Boxee content onto a TV is via a PC (aside from running Boxee on a hacked AppleTV). Once the PC is using the TV as its monitor, any content can be displayed on the television, including using a standard web browser such as Firefox, IE or Safari to access Hulu or any online video site. All Boxee has done is design a better browsing experience for when you’re sat further away. In other words, Boxee alone doesn’t enable Hulu to be viewed on the TV, it just makes it more convenient.